Leading Manufacturer of hollow block machine, cement block machine, hollow block making machine, paver block making machines, hydraulic paver block making machines and chirag world best integrated block making machine from Coimbatore. 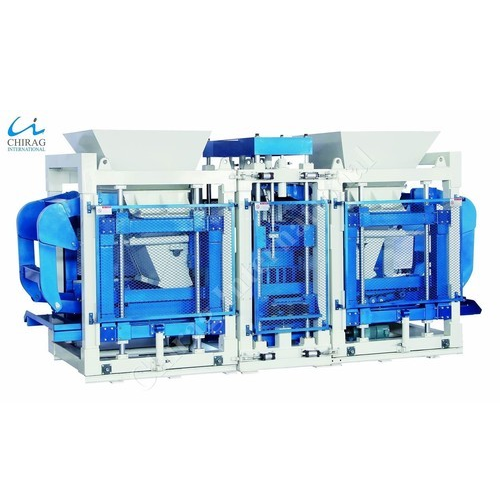 Hollow Block Machine offered are made available in compliance with defined industry standards and is based on advanced process technology as well as use of premium components that make these match up to the process needs of the customers. Hollow Block Machine We make these machines available with wheel support that allows their easy movement after laying of block on concrete floor to next laying space. We hold expertise in offering an exclusive range of Cement Block Machine to our clients, which is made using best grade raw materials and advanced technology. These are highly demanded for its special features optimum performance and corrosion resistance make it highly demand able in the global arena.Cement Block Machine We meet the bulk demand of clients within a committed time frame. Hollow Block Making Machine Adopts electric walking and hydraulic turning. It can be used under any production place. 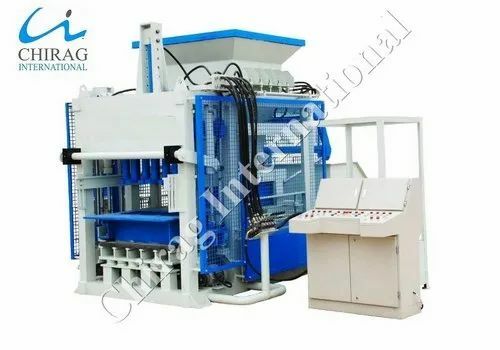 Hollow Block Making Machine Several function features, such as low price, reliable performance, easy operated, stable, lower power consumption(just one sixth power consumption of the machine which has the same output).Mass raw material can be used during production, for concrete, cement, small stone, powder, sand, coal gangue, slag, construction waste and so on. Automatic Color Paver Block Machine that we manufacture and offer to our clients are designed & developed in compliance with the industry standards. These are offered to clients in different models to meet their exact demands. Our quality controllers stringently check these on well defined parameters before these are delivered to the clients. Automatic Color Paver Block Machine We also offer excellent after sales services on these Automatic Color Paver Block Machines to assure hassle free operation at client’s end. Hydraulic Paver Block Making Machines that we manufacture and offer to our clients are designed & developed in compliance with the industry standards. These are offered to clients in different models to meet their exact demands. Our quality controllers stringently check these on well defined parameters before these are delivered to the clients. Hydraulic Paver Block Making Machines We also offer excellent after sales services on these Automatic Color Paver Block Machines to assure hassle free operation at client’s end. Chirag World Best Integrated Block Making Machine offered by us can be used for making all types of construction material such as Chirag World Best Integrated Block Making Machine fly ash brick, concrete block, interlocking brick, interlocking block, interlocking paver etc. 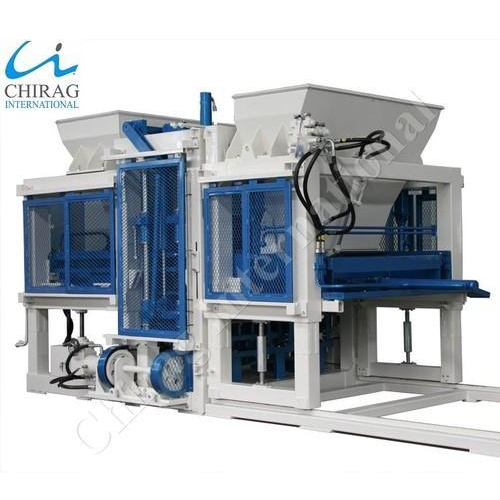 Chirag Integrated Hi-Technology Block Machines offered by us can be used for making all types of construction material such as Chirag Integrated Hi-Technology Block Machines fly ash brick, concrete block, interlocking brick, interlocking block, interlocking paver etc. 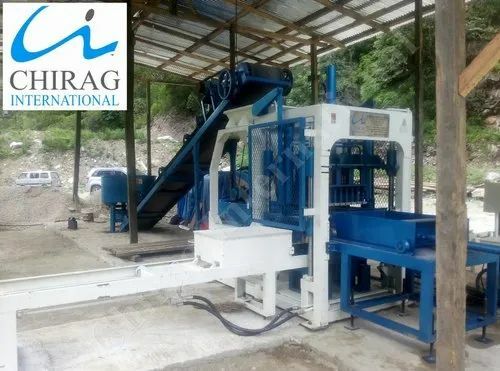 Chirag High Grade Multifunction Block Machine offered by us can be used for making all types of construction material such as fly ash brick, concrete block, interlocking brick, interlocking block, interlocking paver etc. Chirag High Grade Multifunction Block Machine This model has been applied for the patent protected by state laws, counterfeiting is not allowed (Patent No.201220242625.7). Chirag Advanced Popular Hollow Block Machine offered are made available in compliance with defined industry standards and is based on advanced process technology as well as use of premium components that make these match up to the process needs of the customers.Chirag Advanced Popular Hollow Block Machine We make these machines available with wheel support that allows their easy movement after laying of block on concrete floor to next laying space. We take pride ourselves in offering a wide range of Chirag Hi-Technology Hydraulic Block Machine to our clients. Our range is immensely used for making blocks for construction purposes. 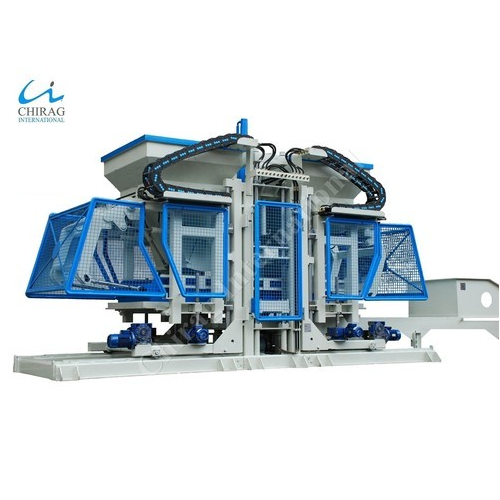 Chirag Hi-Technology Hydraulic Block Machine These are well known for its features like sturdy construction, durable finish, easy operations and low maintenance. Highly productive moulding device Chirag Latest Technology Manual Concrete Block Making Machine , which consists 360 rotating and compulsory feeding of raw materials, platform vibrating and compression shaping, greatly improves the cycle time. The finished blocks are of good shape and high quality. 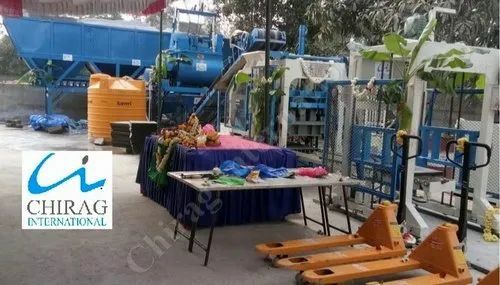 Chirag Latest Technology Manual Concrete Block Making Machine Our machines, with harmonic cooperation between mechanical, electrical and hydraulic machines functions, guarantees a reliable and high production output of concrete products. The moulds are changeable, and it is able to produce various kind of blocks,bricks,interlocks, pavers and kerbstones in different types, sizes, shapes, and colour layers.